It’s often said that first impressions are the most important, so make each one count. Such is indeed the impression Jia Yueting inevitably left in his first international television interview. Mr. Yueting, the 43-year old CEO of China’s LeEco conglomerate, was recently interviewed by CNBC during this past weekend’s China Entrepreneur Club event, and had a number of bold statements to offer, including some very critical ones pertaining to Apple. One of the most important reasons [for slowing sales] is that Apple’s innovation has become extremely slow. For example, a month ago Apple launched the iPhone SE. From an industry insider’s perspective, this is a product with a very low level of technology…We think this is something they just shouldn’t have done. We think the difference between us and Apple is very large. Apple is a mobile phone company focused on hardware and software…LeShi [another name for LeEco] is focused on the internet first, and only then on software, and finally on hardware. Apple only has individual apps. This was the right choice during the first generation of mobile net, when CPUs [central processing units] and the mobile network speeds were not fast enough. However now we’re moving into the next era of mobile internet, these problems no longer exist. Moreover, having separate apps just means great obstacles in the user experience. We hope to break down these obstacles. 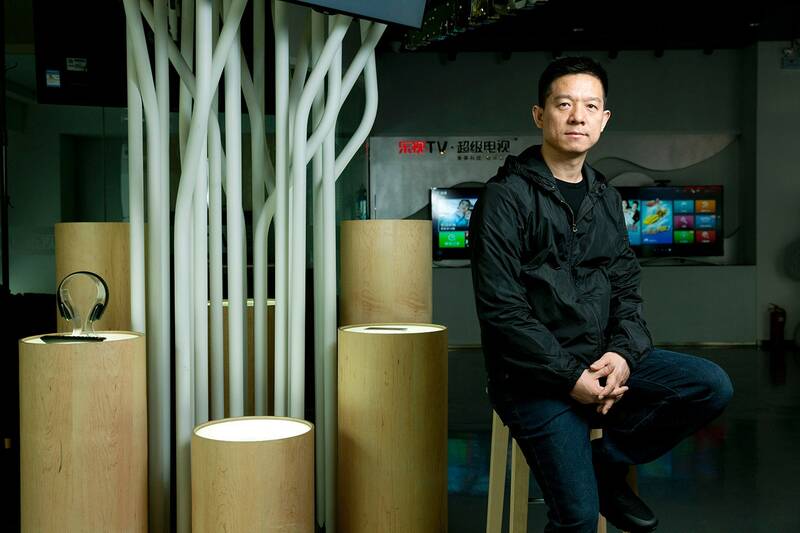 The contrast is definitively noticeable between the two companies, given that LeEco is referred to as “the Netflix of China” and as pointed out by CNBC, “has a product range that includes smartphones, televisions, mountain bikes and, most recently, electric vehicles.” Just last week, for example, his company launched an electric vehicle, the LeSEE, which he believes will mount a sizable challenge to Tesla’s Model X. The idea is that not only will LeEco sell the car itself, but also numerous services and features that go along with it such as music, movies, and television. This is now the second time in a year that LeEco has taken to having some very outspoken ideas about Apple’s electronics empire, with March 2015 seeing Apple likened to a certain World War 2-era figure. Despite the criticism Apple received from individuals like Mr. Yueting as well as in comment sections or message board topics around the internet, many signs indicate the phone is actually doing better than even Apple may have expected. Earlier this year, Tim Cook, the company’s CEO, touched upon the idea that around 60% of its iPhone customers had not upgraded their devices beyond an iPhone 5S and thus there was a clear indication a majority wanted a smaller phone. Perhaps proving his convictions correct, there have been numerous reports of iPhone SE shortages in various countries around the world, and has done quite well in China. In Japan, some customers who pre-ordered the SE from carrier stores prior to its release last month have still yet to receive them, and even in the USA the phone is listed with a 2-3 week waiting period when purchasing directly from Apple itself. While criticism of Apple’s small-sized smartphone could arguably be overlooked should it ultimately prove financially successful or trend-setting, there are some more solid indicators that the company is fast finding itself in a less-than desirable market situation. re/code for example, just today posted a story indicating that “Apple is about to report its first quarterly revenue decline since 2003“. The main culprit for such a situation is, of course, decreasing iPhone sales. As if this picture is not already indicative of a more difficult path ahead, reports and rumors have been mounting that suggest this year’s new iPhone, expected to be called the iPhone 7, will be a far less compelling purchase than previous “non-S year” refreshes. Even the design itself is said to be far less dramatic. Instead, the rumors go, Apple will release an iPhone 8 next year that will stand as a true and total refresh, complete with the AMOLED displays it is allegedly purchasing from Samsung. One prime example is this story from yesterday, and this one from last week. While it is not unheard of for companies to make statements critical of Apple, those by LeEco’s CEO come at what may be the beginning of the end of Apple’s unrivaled dominance of its domain. While Apple did indeed pioneer or popularize many of the things smartphone users may take for granted these days, the game has changed, as well as the stakes. Mid-range smartphones are progressively becoming more and more powerful, and more and more customers around the world are realizing that there are suitable and substantial alternatives to anything “i-related”. What do you think? Does Mr. Yueting have a good point in what he’s saying, or has he bit off more than he can proverbially chew?